Val Halfling first appeared within the Incredible Hulk Vol.1 #379 (1991) Modern Age Villain. Halfling goes by several aliases such as Agamemnon, James, and Aggy. 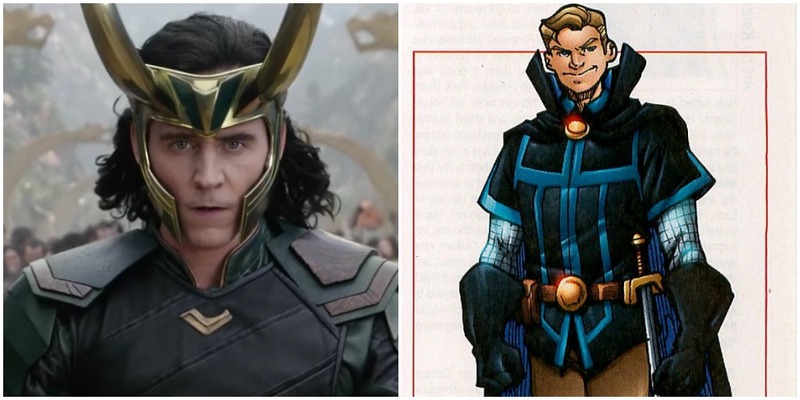 His father is the infamous Loki and his mother is an unknown mortal human. cursed Vali to be a teenager forever who cannot age. The only downfall to his curse is that due to his half human side, Vali will eternally experience hormonal teenage issues. Like his father, Vali is a master tactician and strategist. His Asgardian blood helps him to regenerate when injured while also giving him superhuman strength, durability, and stamina. Val is proficient in sorcery, allowing him to control minor demons, teleport, project energy, and even levitate. He regularly carries guns loaded with mistletoe to injure the gods if necessary.